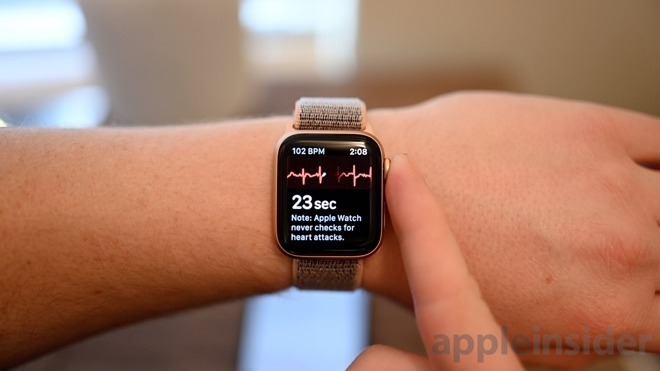 Apple is reportedly testing sleep monitoring in an employee focus group, and appears poised to add the feature to the Apple Watch in 2020. Predicted by Bloomberg, the feature is said to be in testing by Apple employees currently. However, as the report expects that it will arrive in the 2020 lineup of products, it is not ready for public use. The rumored feature addition isn't a big surprise. Apple acquired sleep monitoring company Beddit in 2017, and revised the product in 2018. It is also a logical extension of the company's continued push into health monitoring. Bloomberg notes that addition of sleep tracking would require more battery life, as most users presently charge the device at night. Alternatively, a low-powered implementation, and Apple shifting to some kind of faster Qi-related charging than it currently uses could only mandate a quick charge in the morning. Such monitoring could be implemented as an extension of the existing Bedtime feature that was introduced in iOS 10. This is a very basic alarm that tells you what time to go to bed if you say how long you want to sleep and when you need to get up. However, it also integrates with the Health app to show at least some details of your sleep history. There are also third-party sleep trackers for the Apple Watch, though, including AutoSleep by Tantsissa which can use the Watch's motion sensors to judge how long you're asleep.